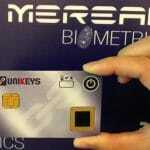 Antonio D’Albore of Embedded Security News recently released technical research that focuses on biometric smart cards. The report entitled “The Rise of Biometric Cards” is available free of charge under creative commons license. The research presented in his report provides a comprehensive description of smart card technologies that embed fingerprint sensors. The industrial research was conducted from January 2017 through February 2018. 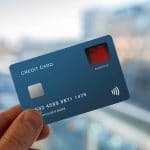 The data presented in the report was collected utilized various methodologies, including first-person interviews with company representatives, company shareholders, researchers, developers, and industry stakeholders involved professionally in the smart card and biometric industry. The report outlines the many use cases for biometric smart cards, including payment and national ID cards. 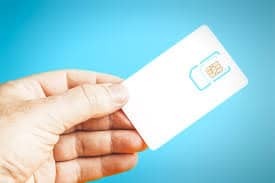 D’Albore provides an extremely detailed technical outline of the anatomy of biometric smart cards, which include: components, inlay, card body lamination, power supply, fingerprint sensors, secure elements and contact interfaces and transponders. The report also provides a detailed examination of the entire product and service ecosystem, which includes both the biometric card solution provider and sensor solution provider value chain. Primarily, his report provides technical analysis concerning how biometric smart card technology works. He explains the three current systems that leverage smart cards to provide secure tokens within the biometric authentication process: template-on-card, match-on-card and biometric system on card. The report also details concepts that affect biometric performance, including false acceptance rates and false rejection rates. Other concepts that are examined include enrolment schemes. The report also provides a detailed examination of fingerprint sensor technologies, including description of the type of sensors, captures, manufacturing substrates, physics, passive and active capacitive sensing and thermal sensing. The report further offers a timeline of trials and commercial rollouts of smart card technology, along with an outline of initiatives being led by major industry participants including MasterCard and Visa. The research further analyzes the business lines of major card manufacturers including Bundesdruckerei GmbH, Feitian Technologies, Gemalto, IDEMIA SAS, Infineon Technologies AG, Kona I Co., Ltd., Linxens Holdings SAS, NXP Semiconductors, SmartDisplayer Technology Co., Ltd., Tactilis Pte and Toshiba Infrastructure Systems & Solutions Corporation. The report also examines technology enablers, which include CardLabs ApS, Card-Tech S.r.l., First Biometrics Inc., Infinacom LLC, Jinco Universal Co. Ltd., Korea Smart ID Co., Ltd., Lion Security Co. Ltd., Maneul Lab Inc., MeReal Biometrics Ltd., Morix Co., Ltd., SmartMetric, Inc., Unikeys HK Ltd. and Zwipe AS. The report also examines the main developers of fingerprint sensors, including: Datang Microelectronics Co., Elan Microelectronics Corp., Fingerprint Cards AB, IDEX ASA, Morix Co., Ltd., New Imaging Technologies SADIR, Next Biometric Groups AS and FlexEnable Ltd. 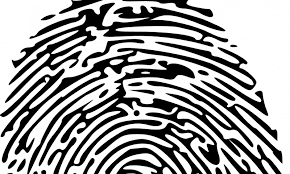 While the report notes the difficulty in predicting the evolution of the technology within the next 12 to 24 months, D’Albore expects that biometric engines will be able to perform self-learning on each fingerprint acquisition within two years. He also expects that fingerprint sensors in the near future will extend existing “liveness” detection with vein sensing capability, blood flow and heartbeat detection, and that fingerprint sensors will be able to operate under a layer of conductive plastic, which means that manufacturing processes will rapidly simplify. D’Albore further believes that behavioral biometric capacities will advance and accelerate, comprised of fingerprint and additional sensors that are able to “learn”, “record” and “detect” user finger behavior in terms of speed, approach point on sensor, rotation on sensor, pressure on sensor and other user behavioral patterns. He further predicts that miniaturization and an exponential increase in computing power will allow manufacturers to integrate cameras for facial recognition within a smart card form factor. D’Albore’s research has been presented at the International Card Manufacturers Association (ICMA) CardTrex Europe Conference held in October 2017, and also at ICMA EXPO in March 2018.